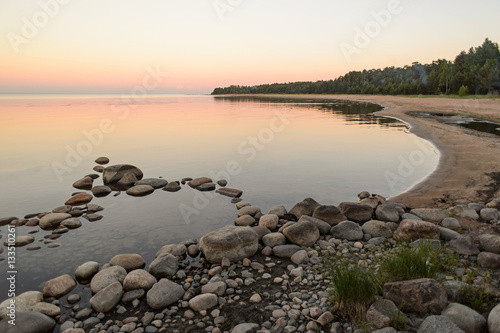 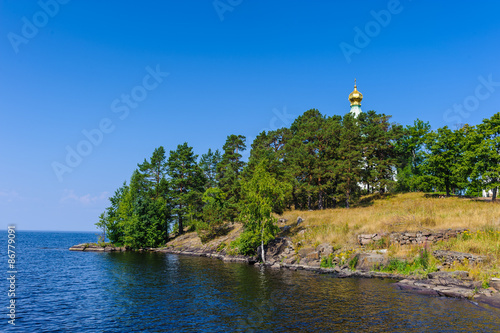 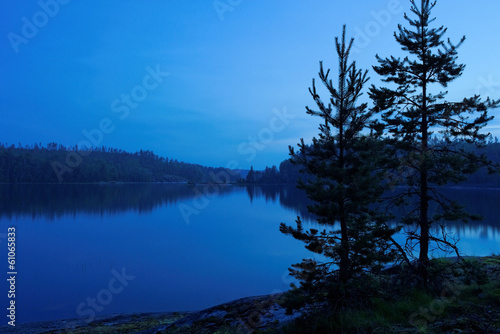 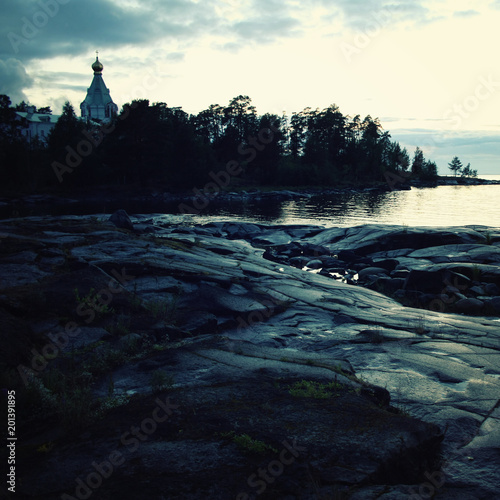 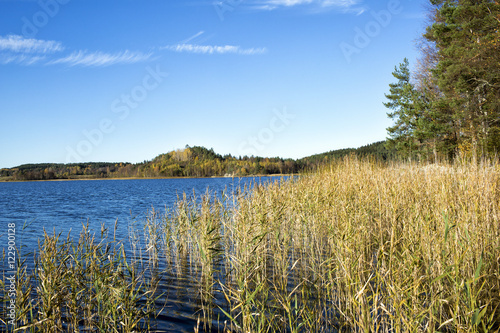 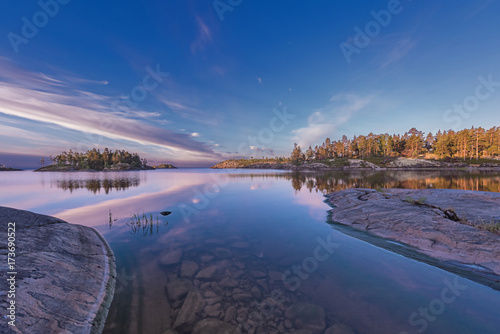 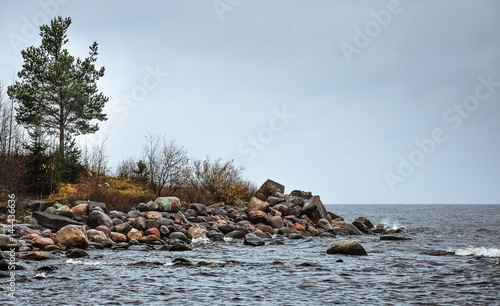 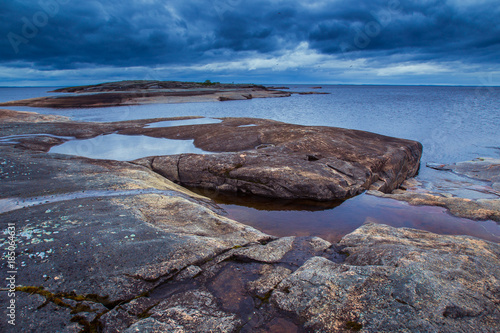 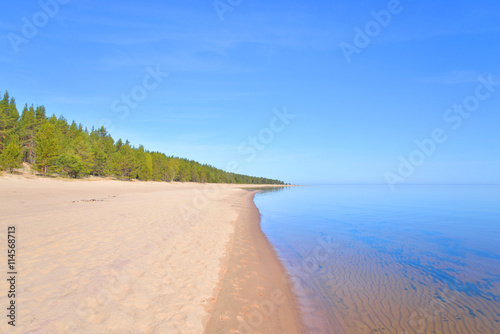 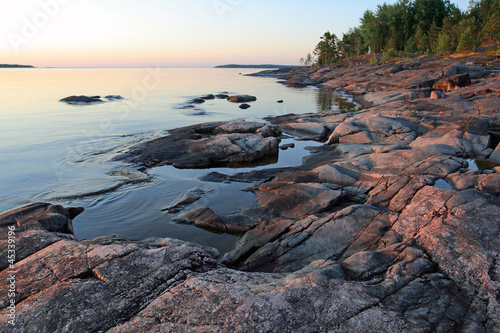 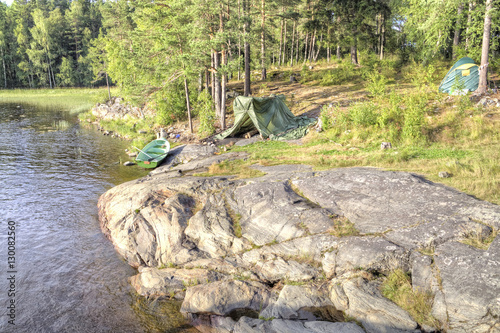 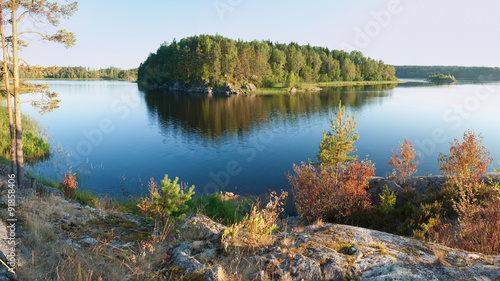 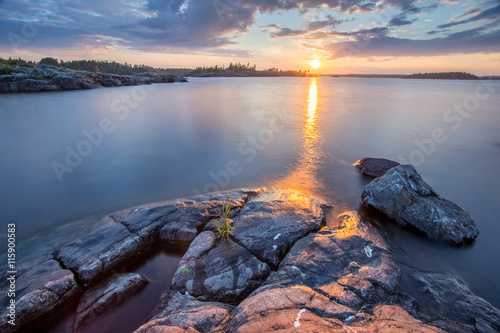 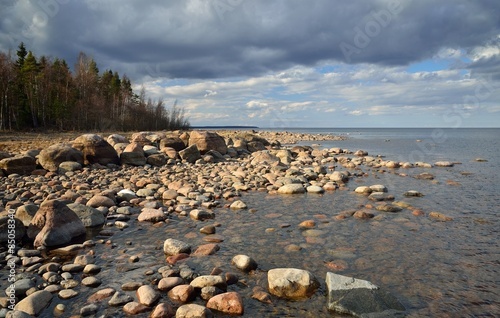 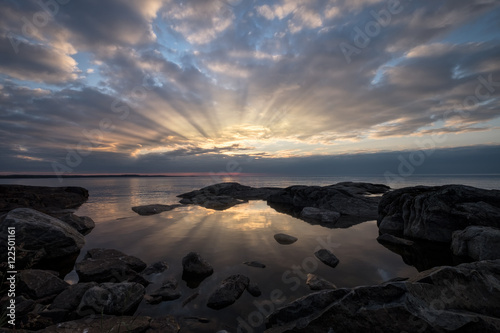 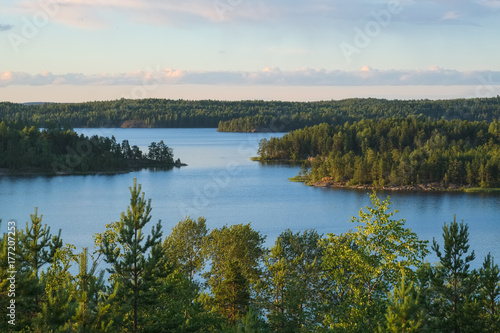 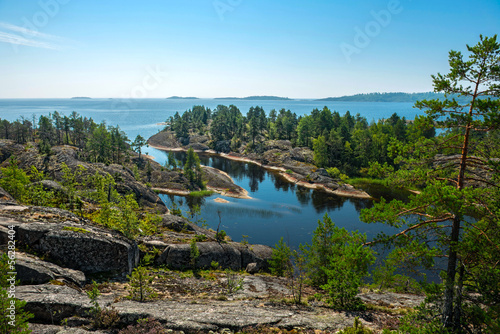 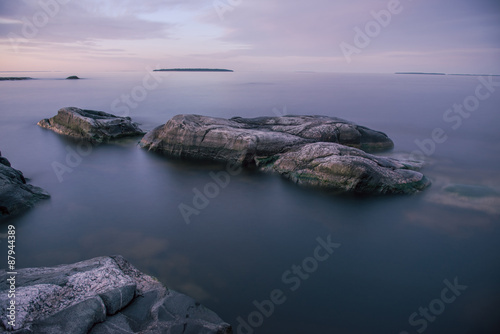 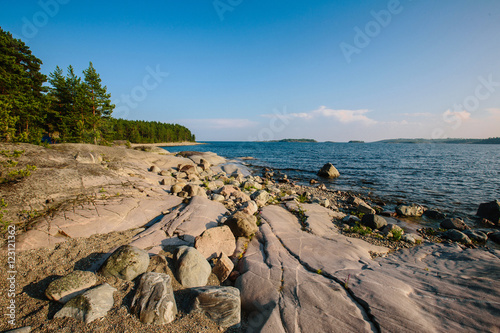 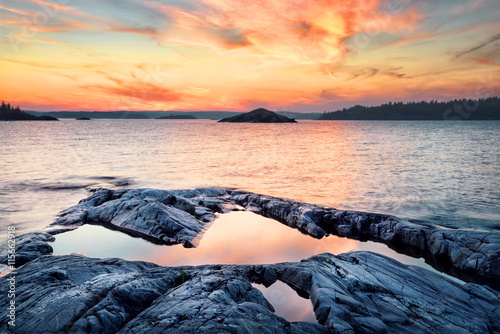 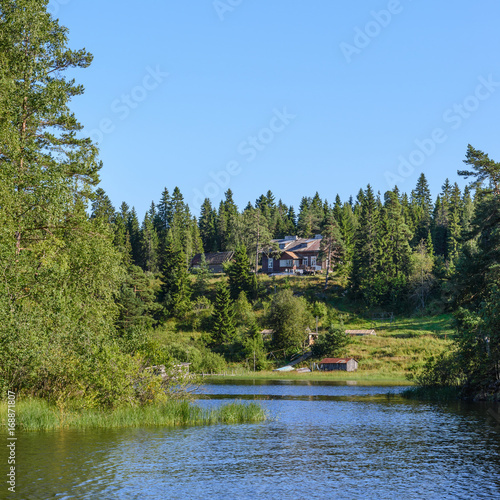 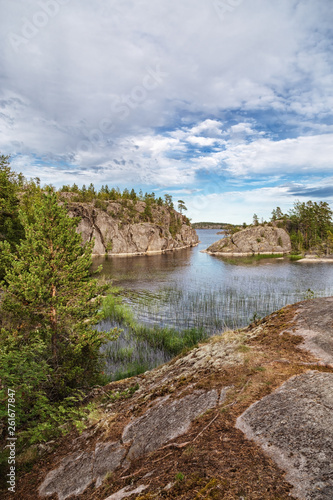 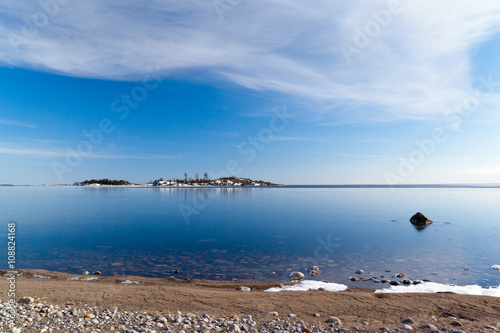 Beach on Ladoga lake at morning. 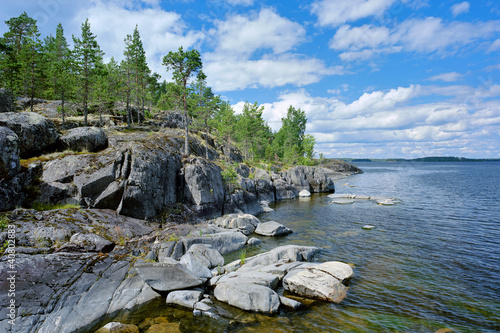 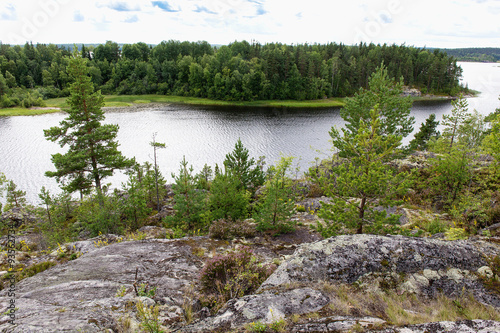 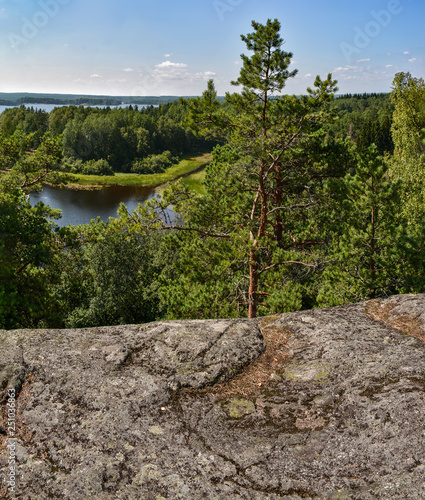 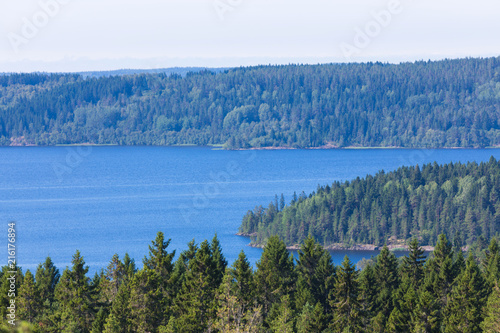 Summer in the North in the Republic of Karelia. 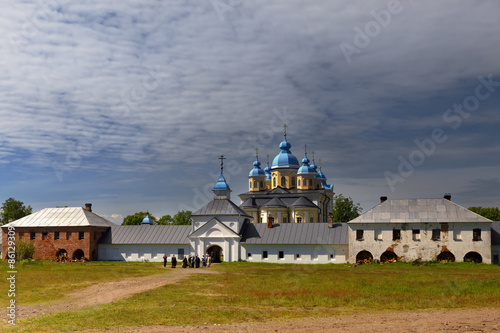 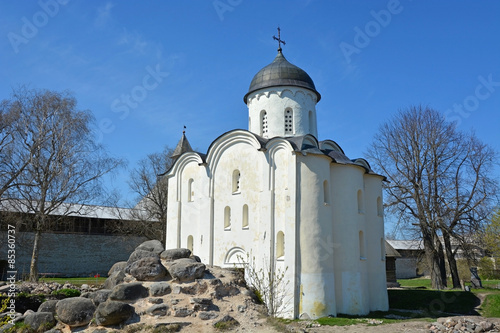 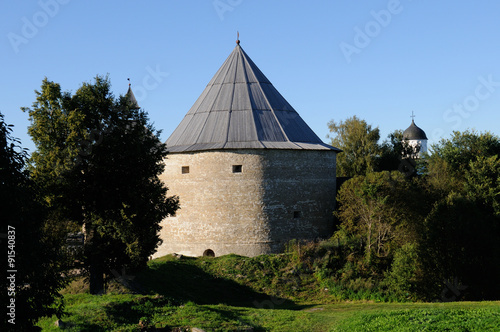 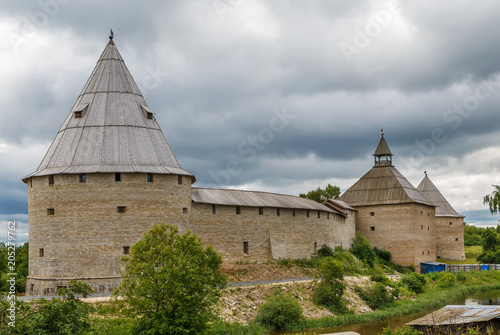 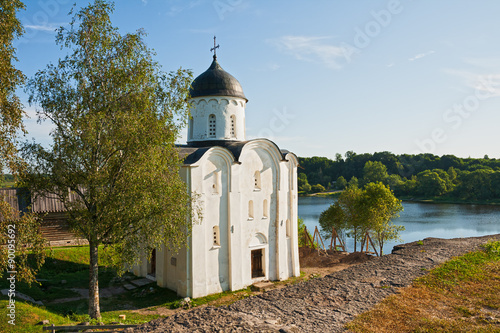 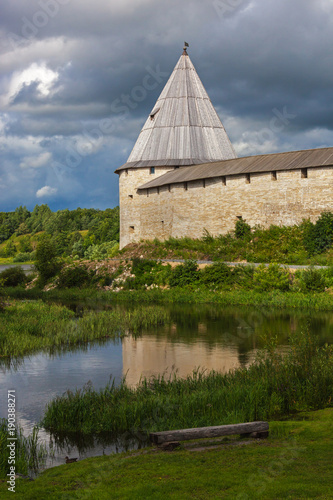 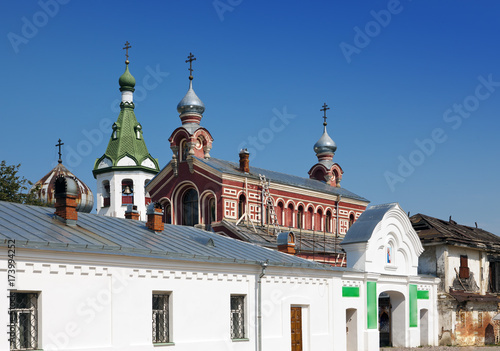 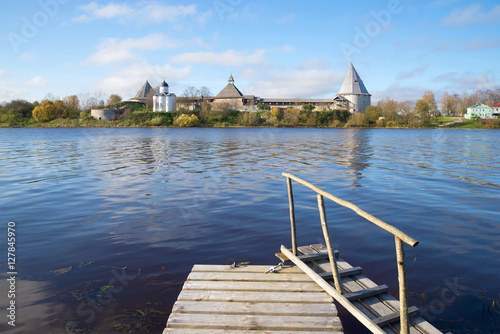 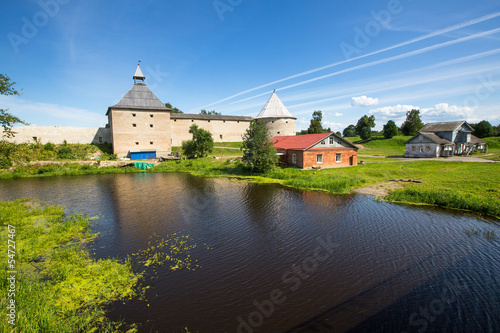 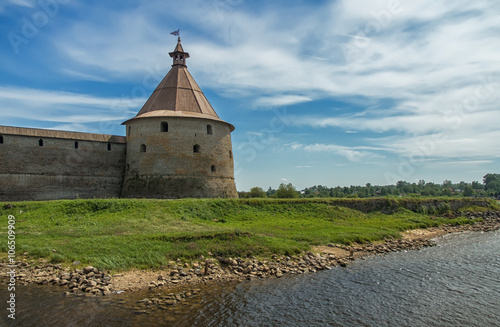 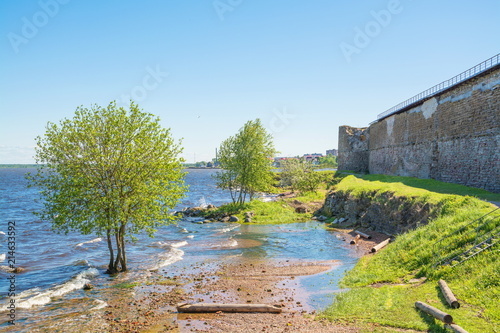 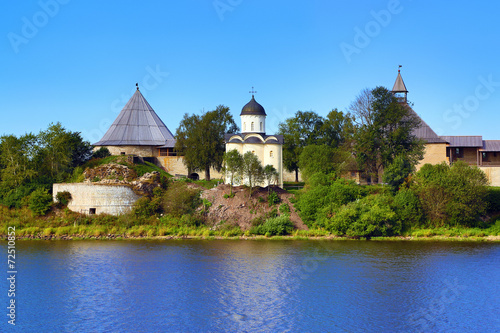 The fortress of Staraya Ladoga, Russia.